It can be difficult to identify small black bugs but many natural remedies can be used to deter or kill them. This is a guide about getting rid of little black bugs. I've read all the questions and comments, and my particular odyssey with the little black bugs is that they don't fly, they come in through or by the kitchen sink only, and I don't think the bite. They scurry off as soon as I approach, but I can squash them if I'm quick enough. My bug spray seems to have no effect on them, and I've tried a vinegar solution, Listerine, and boric acid powder. Nothing seems to kill them off. I live in an apartment, and only got them after the upstairs unit was exterminated, along with cockroaches. Help! If you live in an apartment it is up to the owner or manager to spray your unit. 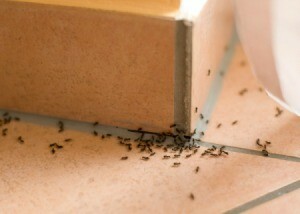 If another unit was sprayed in your building it is normal that the bugs from this unit will look for a new home. Write or call your property manager or building manager and have them inspect your apartment. Tell them you are being invaded by bugs and you want your apartment sprayed. As long as you are renting it is up to the building owner to maintain and spray these units for bugs and roaches. They could be carpet beetles. Put everything in containers and clean out first. Wipe everything down with vinegar. Clean out closets they love wool sweaters or blankets. Wash all your things, wipe out drawers. Store clothing in airtight containers. 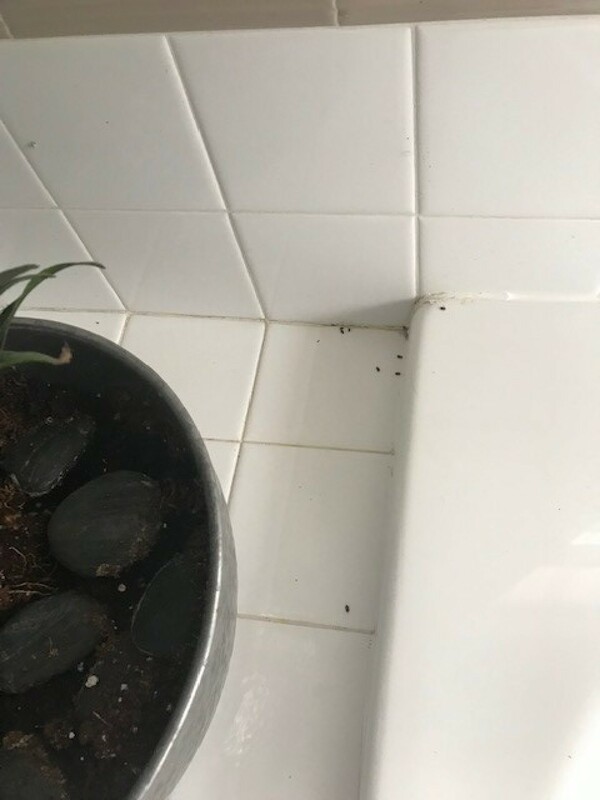 We have have these little black bugs that appear only on the tile around our over sized tub in the bathroom. They kind of look like a flea, but do not jump and are dead or barely moving, but keep appearing. There is a little off colored yellow larvae now and again around them too. We have no idea what they are. We thought initially they were coming from a large plant and we took that outside last spring. I think you have drain flies. I would pour some bleach down the drain to kill them. Trying to figure out what these little bugs are!